Study Desk Utilize for Student, Patients, Pe | Title Display System Pvt. 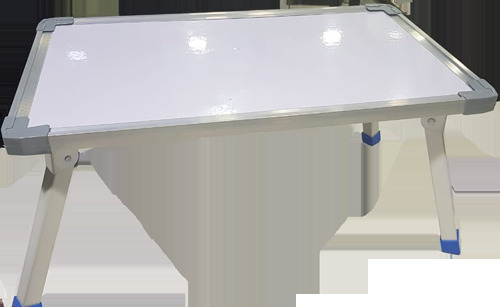 Ltd.
Study Desk Utilize for Student, Patients, Personal use like put Laptop on top surface. Durable. Anything can written and erased on desk top surface. Stand can be also folded. Further Details Contact us.